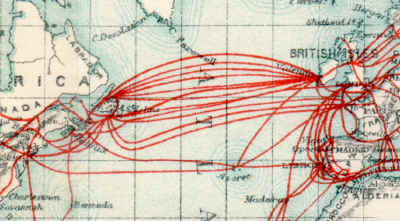 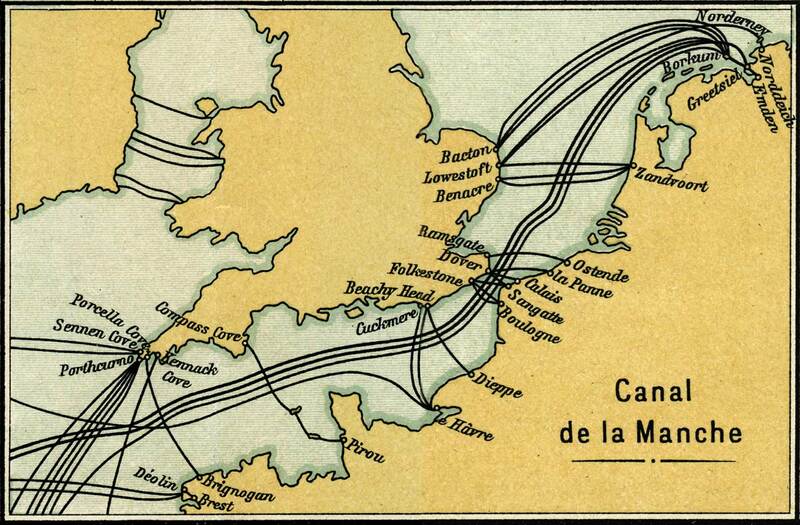 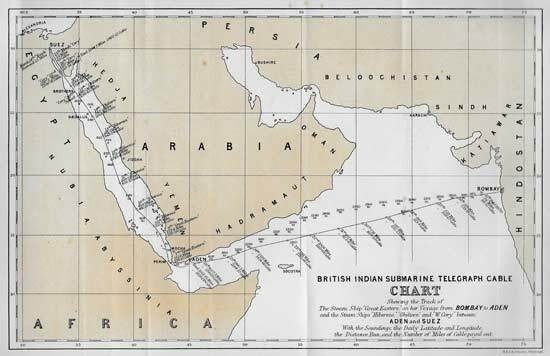 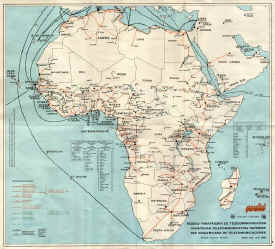 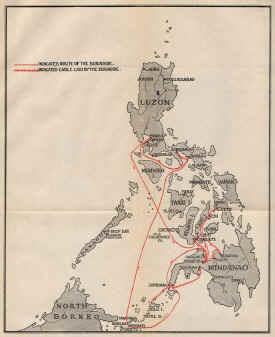 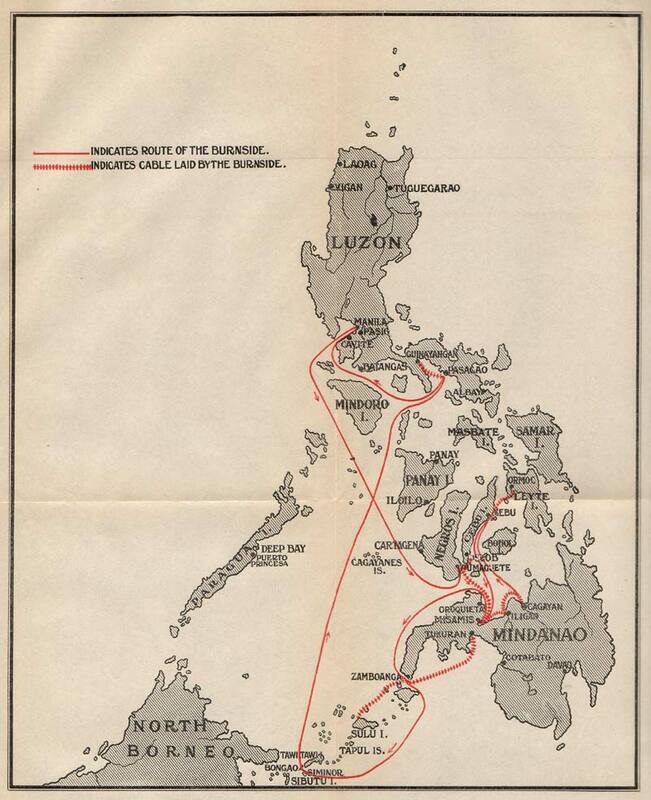 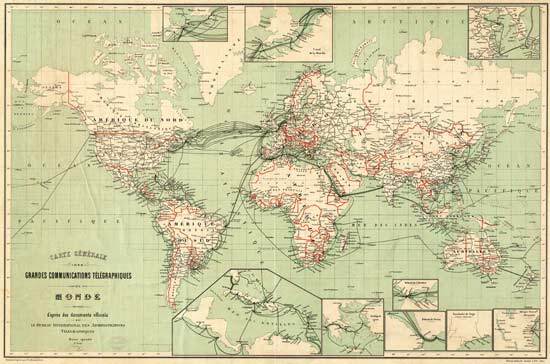 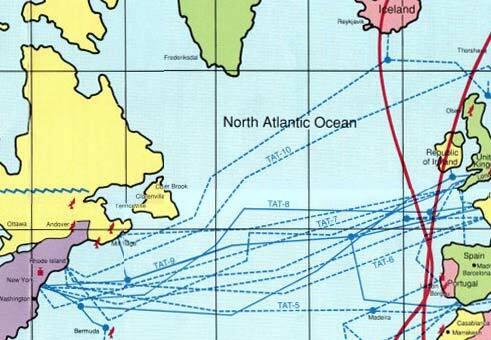 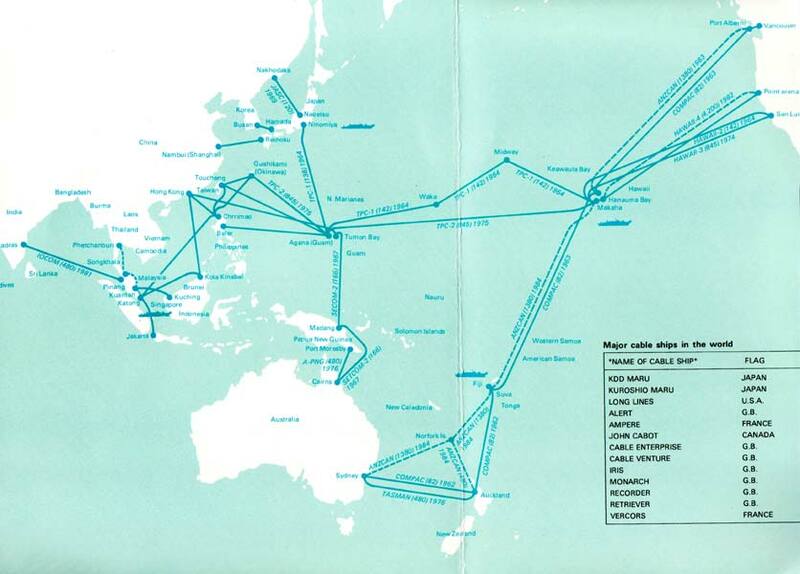 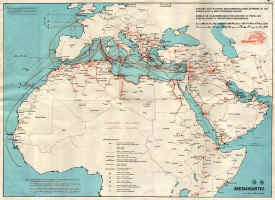 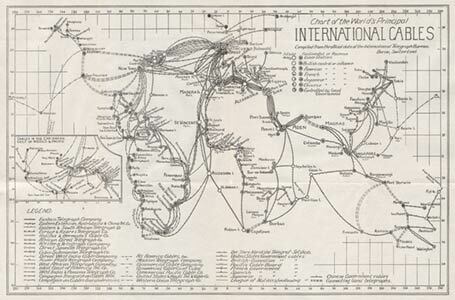 Early cable route maps were often published in the cable history books. 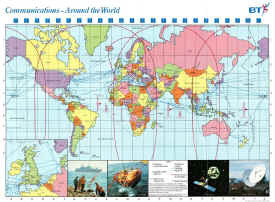 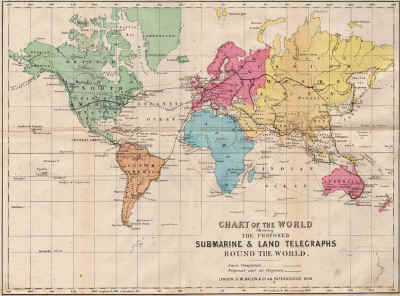 Later maps were issued as promotional items by cable companies and government telecommunications authorities. 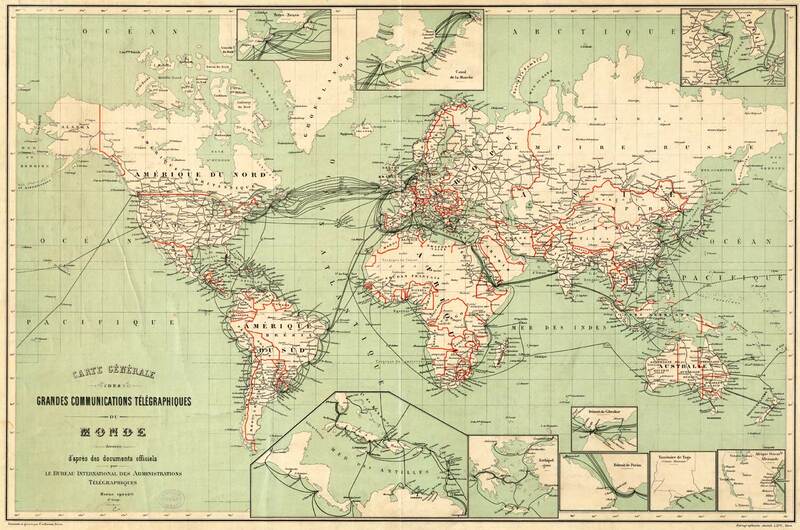 For modern cables, Greg Mahlknecht has an excellent interactive map showing routes and details for each system. 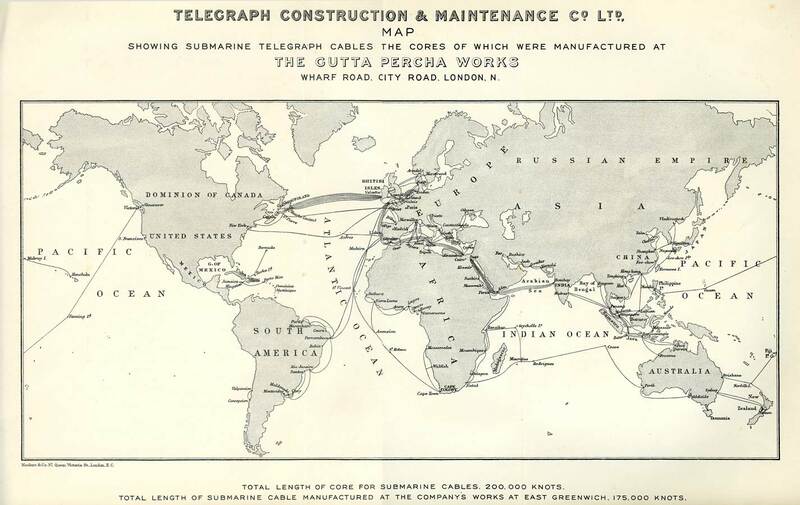 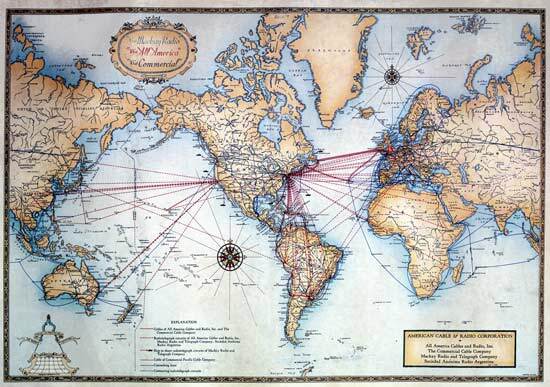 TeleGeography now has an antique-style interactive map of present-day working cables. 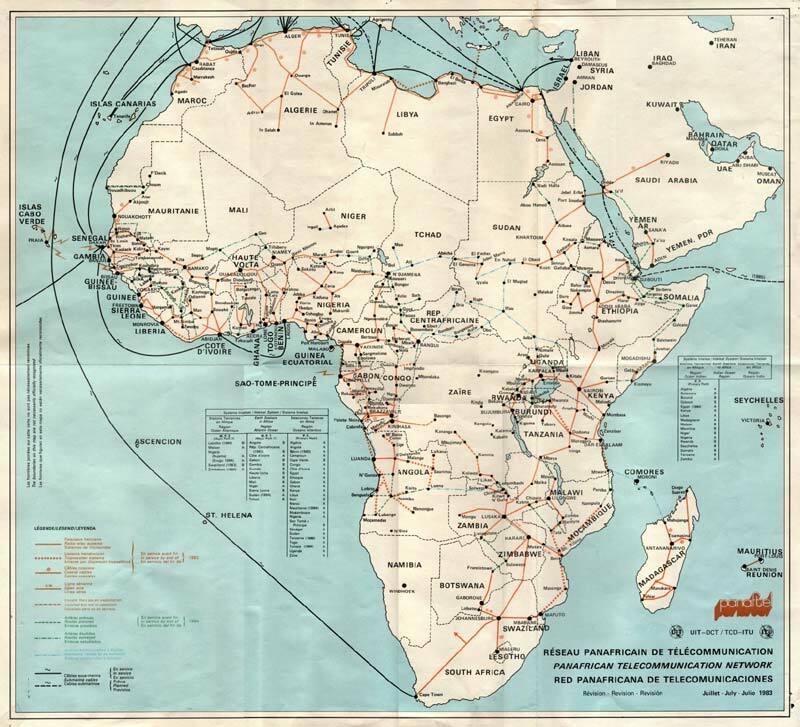 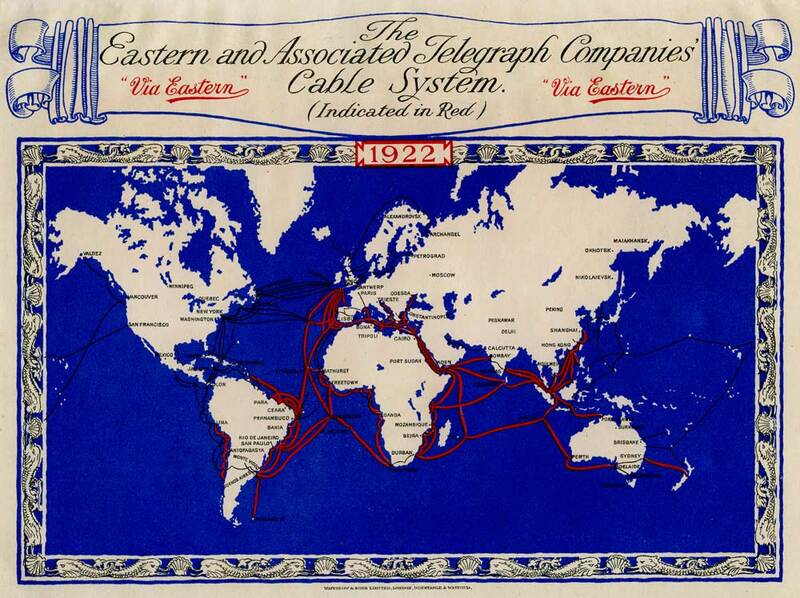 The TeleGeography site also has other submarine cable maps. for laying the Atlantic Telegraph Cable. 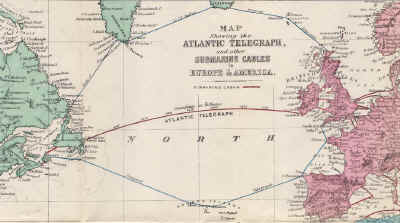 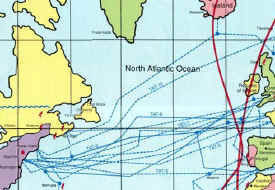 Another map of the 1858 Atlantic Cable route. 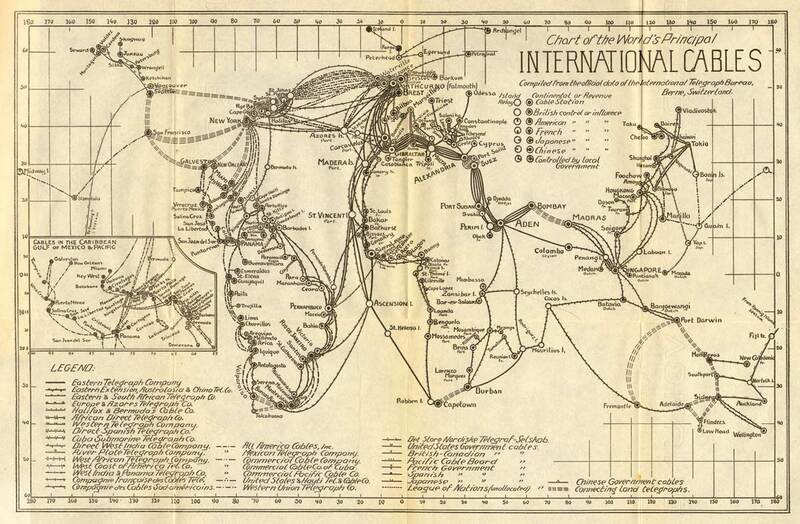 "Korff Brothers. 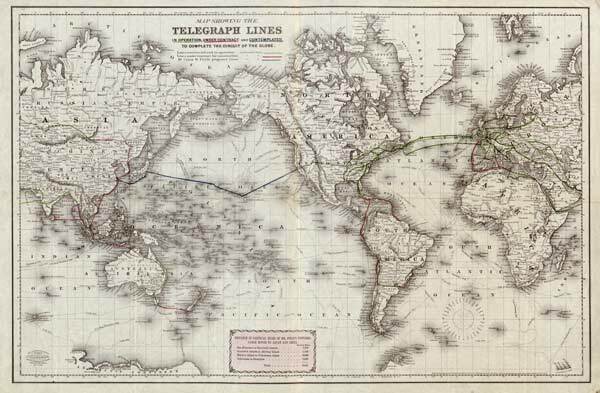 Practical Lithographers, 54 William Street, New York"
1857 and copyright Korff Brothers). See also the Broadsides page. 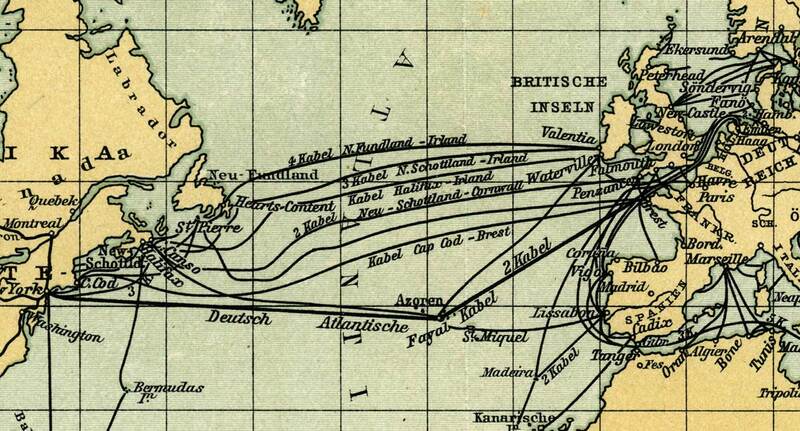 Cables in Europe and America from The Atlantic Telegraph. 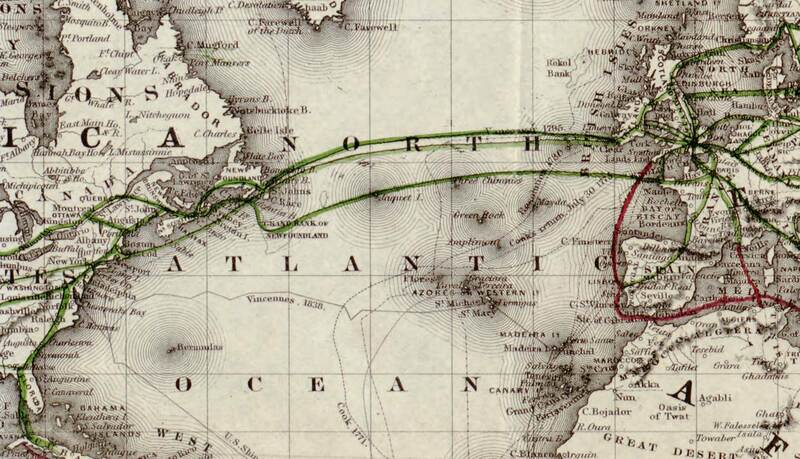 Note also the route of Tal Shaffner's proposed northern cable. 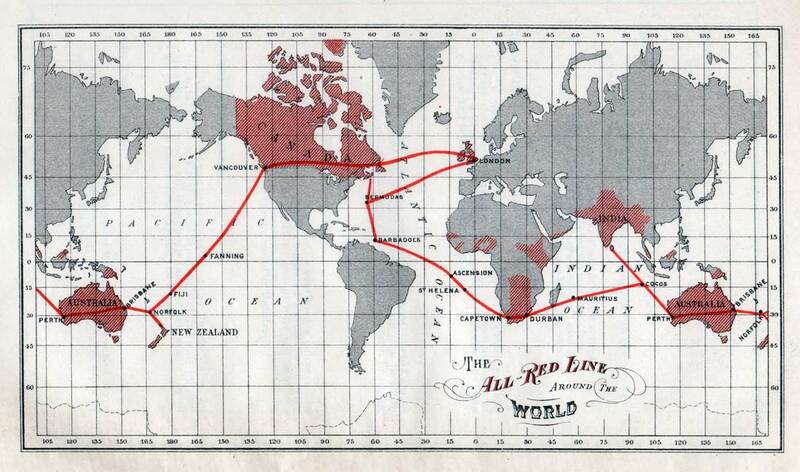 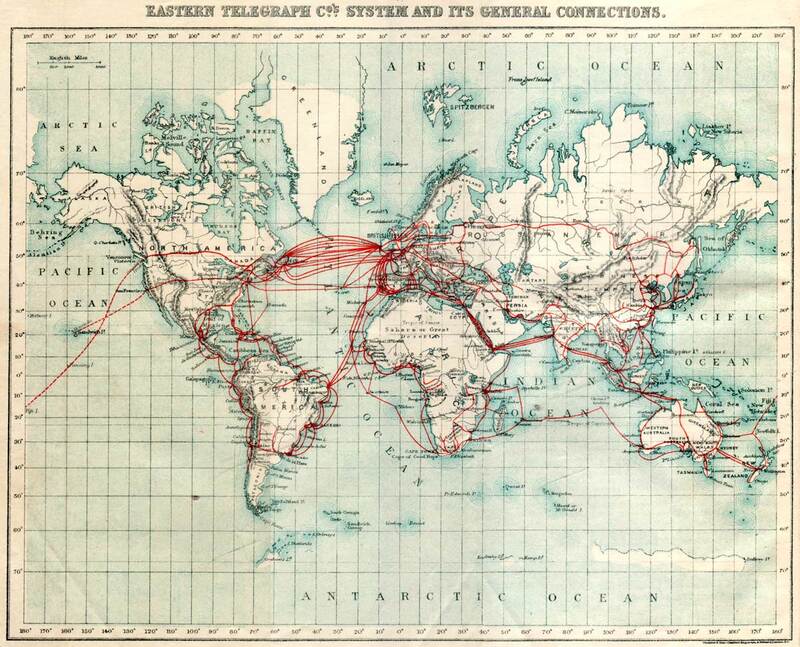 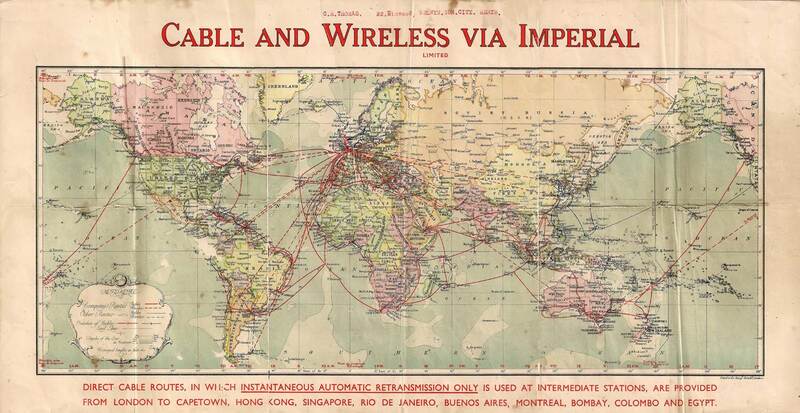 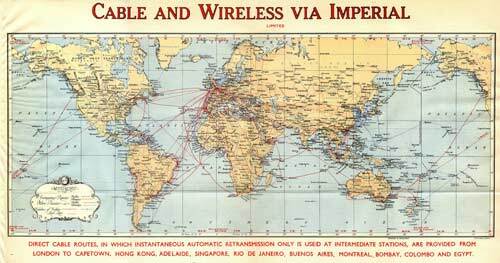 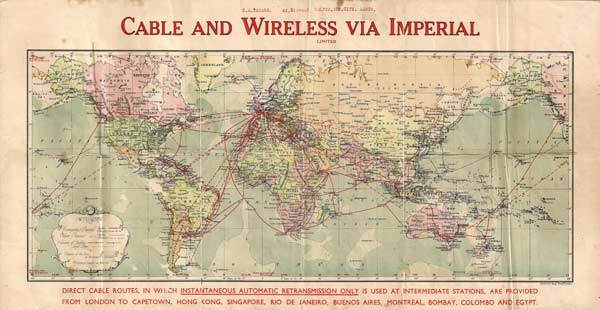 Telegraphs Round the World from The Atlantic Telegraph. 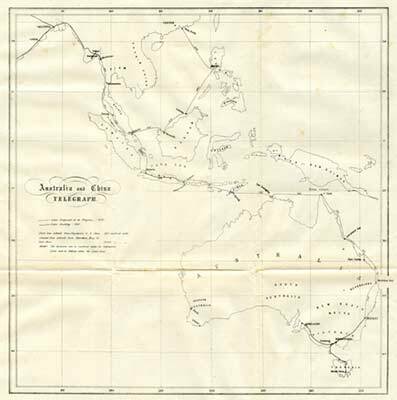 Note: This Colton world map is dated 1855, but it was re-issued about 1870 with the cable lines added, together with a new title and caption. 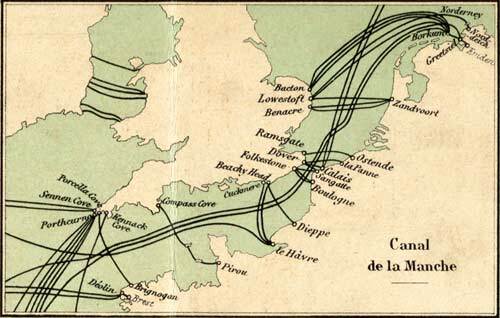 Evidence for this is that one submarine cable, from France to North America, is shown as “in operation;” this cable was laid in 1869. 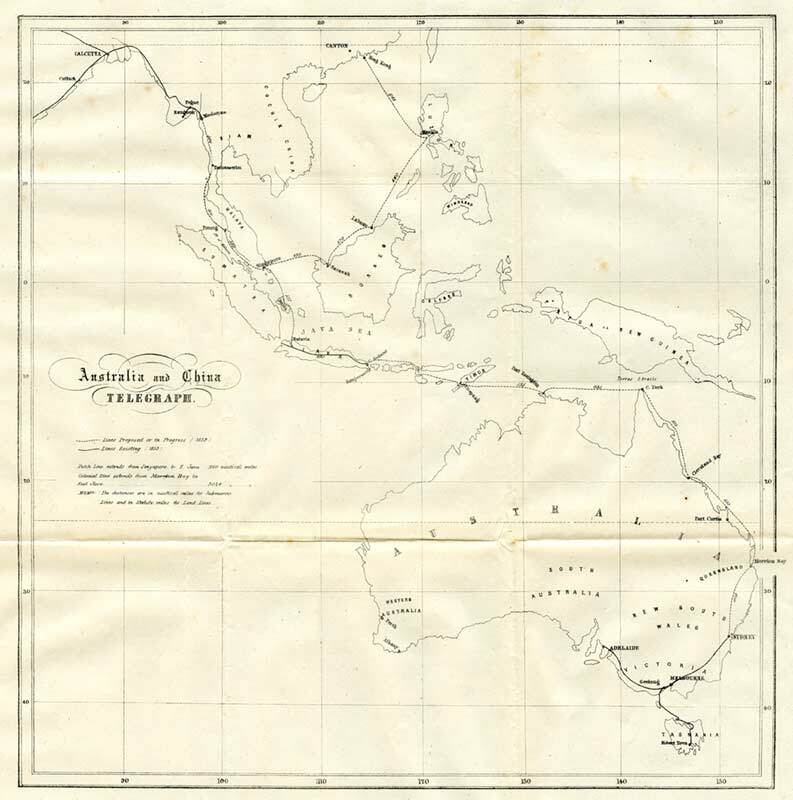 A copy of this map from the Bill Holly Archive has the signature of Cyrus W. Field on the reverse. Showing submarine telegraph cables the cores of which were manufactured at The Gutta Percha Works, Wharf Road, City Road, London N.
from Oskar Moll: Die Unterseekabel in Wort und Bild.